Solo. – Life Is Such A Sweet Insanity. So on Sunday I went on a solo flight that wasn’t part of my official requirements to becoming a Private Pilot. Any flight time where I’m Pilot In Command is good and I’m always looking to get all the hours I can get, but the purpose of this trip was special to me. 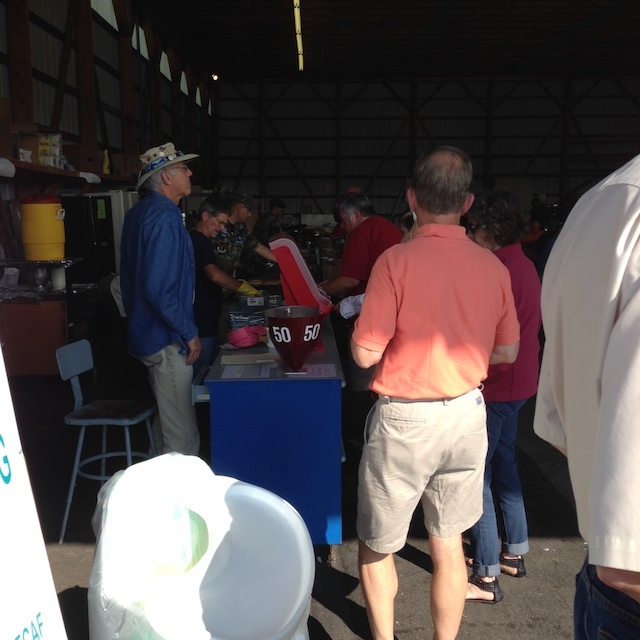 I wanted to fly into a Fly-In Breakfast this year and I wanted to go to the airport where my Dad belonged to the local chapter of EAA. 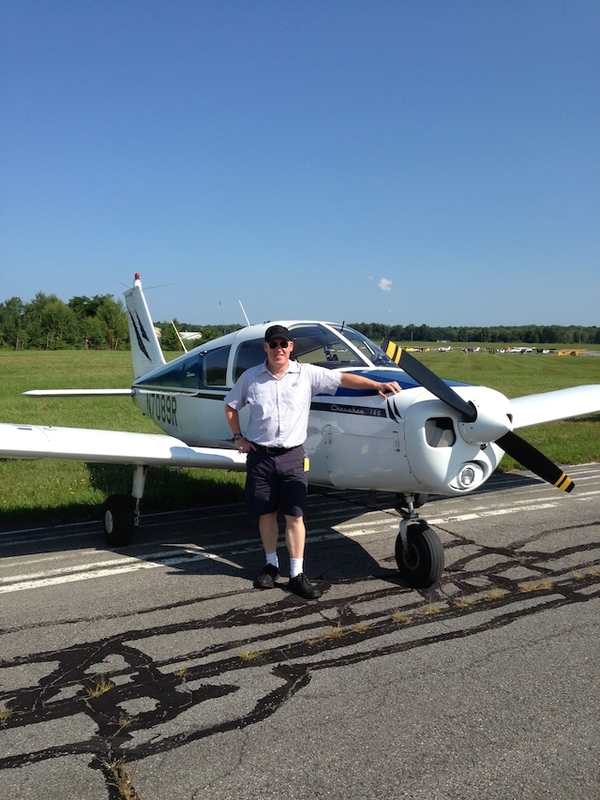 My instructor and I flew to KFZY, or Oswego County Airport in Fulton, a couple of weeks ago together so he would feel comfortable with my performance and endorse my logbook so I could make the flight solo as student pilots have restrictions when they’re flying the airplane alone. The flight to and from KFZY went without a hitch and I was given the endorsement to make the flight solo. I was very excited and barely slept the night before, though I felt great that morning and was more than ready, willing and able to make the flight. The flight was awesome. The weather was perfect, there wasn’t a bump in the sky. 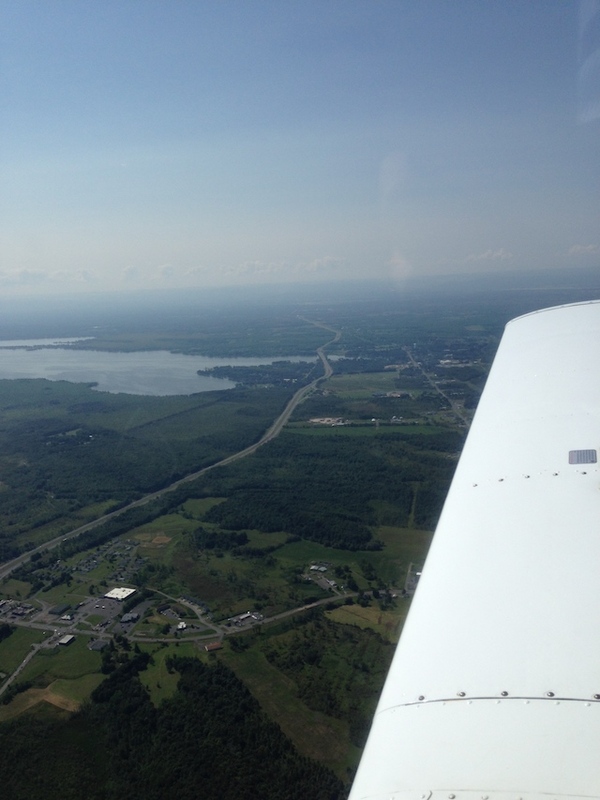 The airplane handled wonderfully and I felt very confident behind the controls. One of the new experiences of this flight was the I was flying into a non-towered airport; in these instances, the pilots talk to each other on a common frequency and everyone works together to keep the area in and out and around the airport safe. The only caveat to this is that at smaller airports, some of the airplanes don’t even have radios, so you have to just kind of watch out for them. The important thing is that everyone is doing what is expected of them and that keeps things predictable and as safe as possible. Being predictable is an important part of training to become a pilot. If you want to get a sense of what the traffic going in and out of the airport was like, I made a video of the experience. It’s rather long clocking in at 14+ minutes, but it gives one the sense of what I was hearing and watching for. Earl was kind enough to drive back and forth to the airport so that we could have breakfast together. I told him that he shouldn’t have to drive to meet me for much longer because once I get my license we’ll be flying everywhere together. I am really looking forward to that day, but only if it’s as safe as possible for the both of us. The flight in and out of the “non-home” airport was a good challenge for me and ultimately went well. While I was there I spoke with some other pilots and even showed one the photo in the office of my Dad standing next to his AcroSport II. It was an amazing experience and just confirmed for me that becoming private pilot is one of the best decisions I have ever made. Busy breakfast line. Delicious food served up by the Civil Air Patrol. Posing next to the airplane before departing back home. A shot of Interstate 81 as it crosses over the eastern end of Oneida Lake between Central Square and Brewerton. No, driving a vehicle and flying an airplane are not the same and while I don’t have a habit of using my smartphone while flying, I had the airplane at a point where I could snap this quick photo without anything startling happening. Fly., Fun and Games Dept, Pilot.